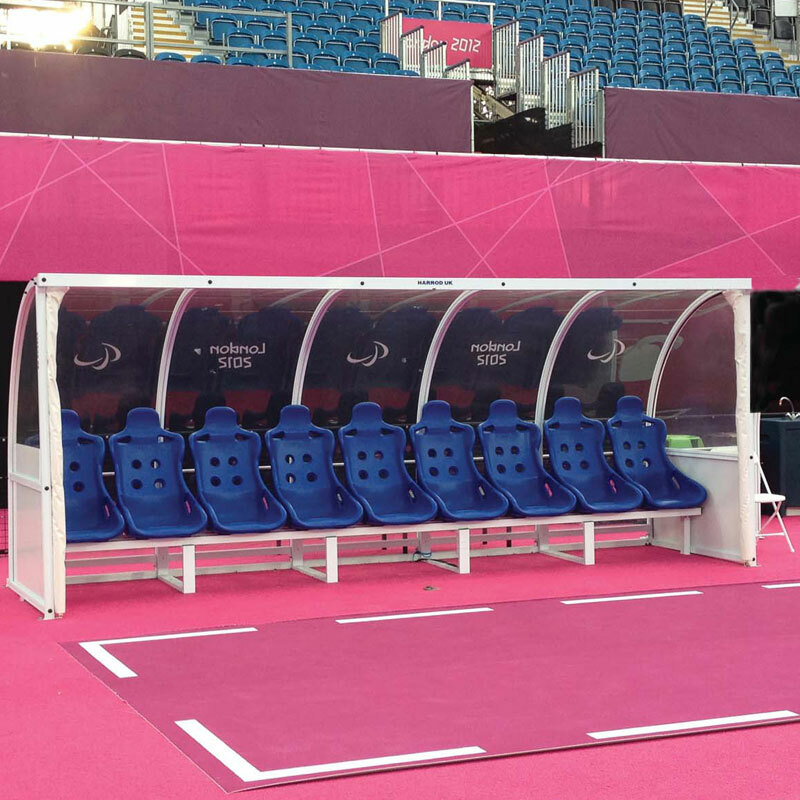 The Harrod Sport ® Superior Curved Team Shelter has been designed as a top of the range team shelter with superior bucket seats. 1 x Set of polypropylene superior bucket seats. 4m shelter to seat 7 persons - 220kg per shelter. 6m shelter to seat 10 persons - 319kg per shelter.